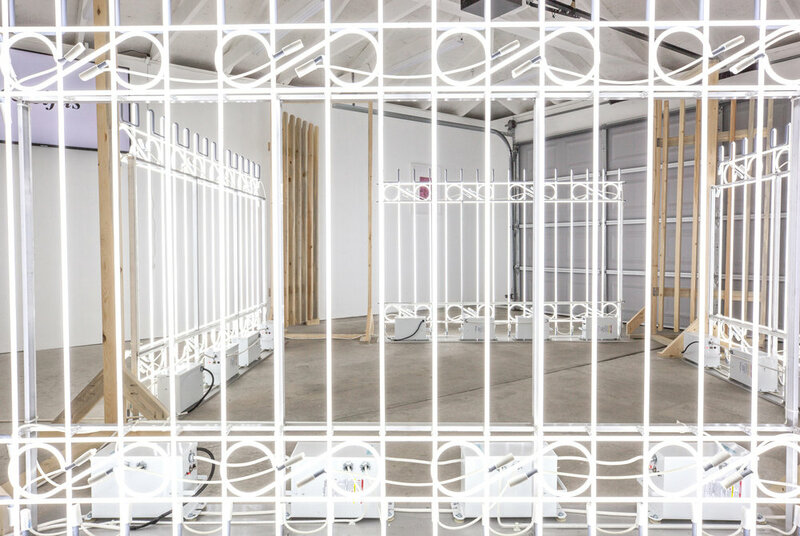 Iván Navarro, Chicago Manual Style Rodeo Fence, 2018. Courtesy of Paul Kasmin Gallery. 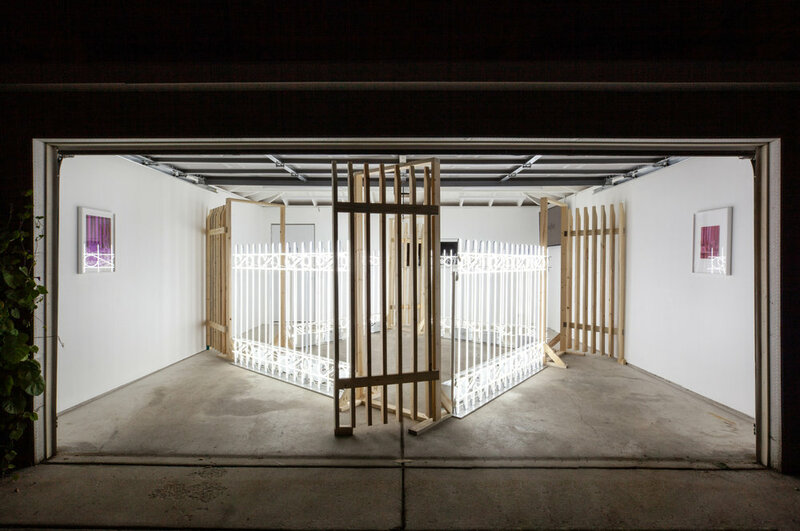 CHICAGO, IL—Exploring the formal nature of incarceration, containment, and suspension through the lens of architecture and language, this group exhibition, curated by Stephanie Cristello, is anchored by Iván Navarro’s (Paul Kasmin Gallery) site-specific installation, entitled Chicago Manual Style Rodeo Fence (2018). 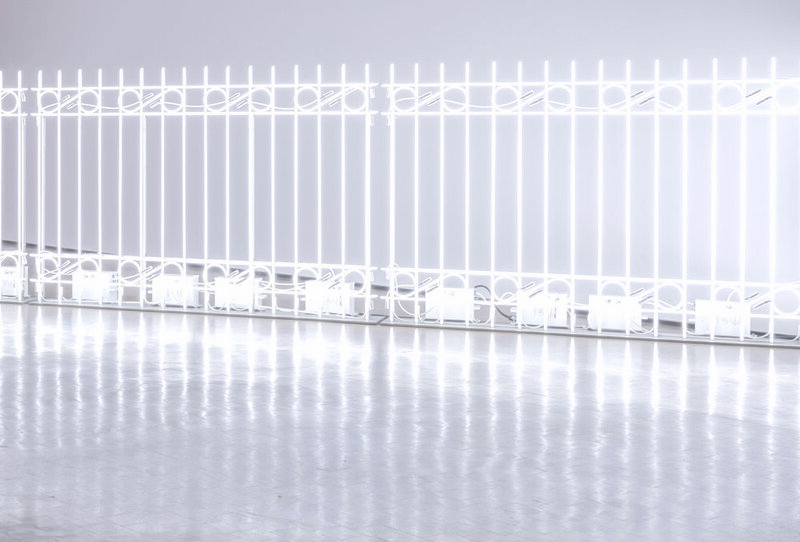 The work is comprised of a large, white neon light that has been bent to render a wrought iron fence, the latest in a series of installations the artist began in 2011. 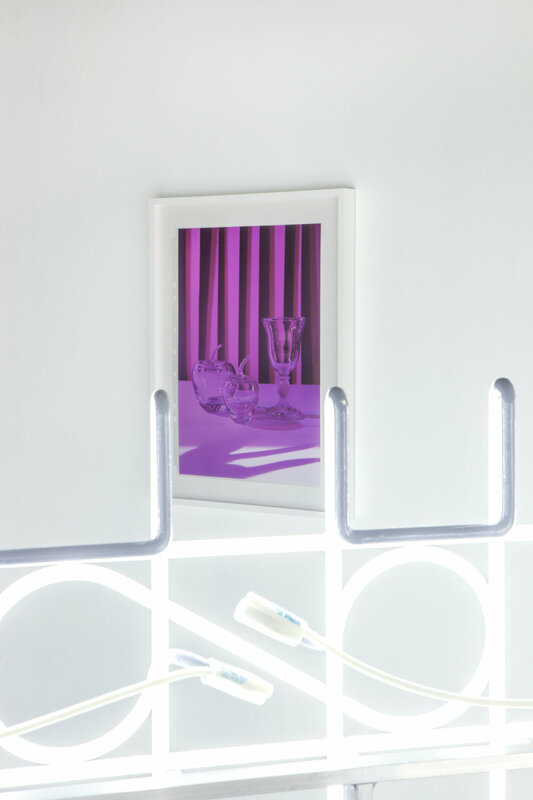 Illuminated only by the white glow of the neon, and filled with the electric buzz of the transformers, the space is complemented by two artists whose works address philosophical and institutional structures of containment and boundaries. Kay Rosen, Sisyphus, 1991. Courtesy of Krakow Witkin Gallery. 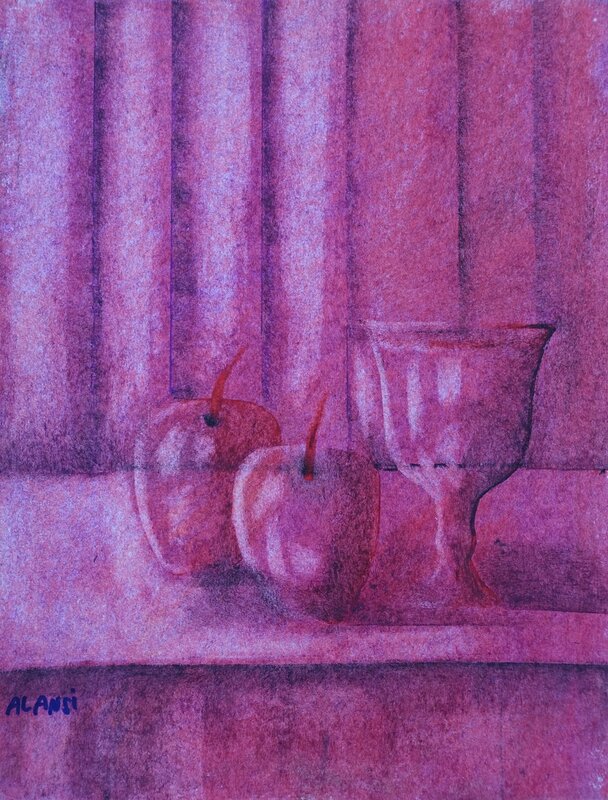 Ansi, Still Life of Apples and a Cup Against Striped Background, 2016.